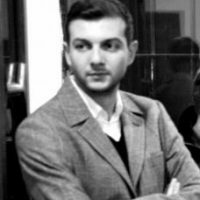 Claudiu Crăciun, PhD, is a Lecturer in European Politics at the Faculty of Political Science, National School of Political Studies and Administration in Bucharest. Since 2009, he has been an expert of the European Economic and Social Committee (EESC) and is involved in various civic and environmental campaigns. He is a founder and Secretary-General of Demos, a political party in Romania. Romania's huge anti-corruption protests are significant for the country and Europe.